The issue of immigrants and aliens in this country has been heated for years. It is something that has been discussed as the population has changed – especially in the past decade. Sometimes, however, both sides of the debate seem to forget that this is a nation that, other than Native Americans, was largely built by immigrants. Yet, these days, there are big questions that keep coming up about immigrants, aliens and paying taxes or having certain types of benefits, especially health insurance coverage. One state that has a huge issue with aliens is California, due to many factors. Many of the state’s citizens are individuals that are aliens, and though the insurance coverage controversy is limited to aliens that are legally here – green cards and all – there is still a huge issue surrounding these individuals and their benefits. To offset budget issues, Governor Schwarzenegger has proposed and is fighting for limiting or eliminating health care coverage for immigrants/aliens that have had a green card for less than five years. This proposal would supposedly save $85 million or more by eliminating many preventative services for those individuals and their families. The problem with this is that, once again, it’s great to look at the short term but the long term must be addressed. If people do not have Medicaid coverage (called Medi-Cal in California), to help them stay healthy, studies throughout the count.ry in various states have shown that the costs are often much more in the long term because without preventative and basic care, people wait until their health situation is acute before they deal with it. Because people wait until they can wait no longer, they end up in an emergency room instead of a doctor’s office, therefore incurring a cost that can be up to an average of 7 to 10 times that of a preventative or even an acute visit to the doctors office. A doctors visit at a local clinic usually costs between $10 and $25; and a doctors visit at a private doctor’s office can be $35 to $100 depending on what area of the country a person is in. With Medicaid, a doctor’s visit would cost a co-pay of $10 to $20. All of these are far less than the average emergency room visit which can cost from about $200 to $2000, depending on where you are and the procedures that have to be done. The likelihood of a low-income individual paying the doctors visit or working out payments with or without insurance, is much better than them paying for the hospital visit. Too many times, the hospital gets stuck providing care and receiving little or nothing because the person truly has no money and the hospital is obligated not to turn anyone away. It is important to keep an eye on California to see how the Governor’s bill turns out. Let’s remember that aliens that are legal and have green cards have taxes taken out of their paychecks, thus contributing to the economy. It is essential to weigh the pros and cons as well as the financial impact of cutting these individuals out of insurance benefits/Medicaid coverage that could essentially keep them and keep the economy healthier. In California, like in every other state, the state and federal government in partnership offers Medi-Cal. For starters, the name of California’s Medicaid program is Medi-Cal. Unlike Medicare, Medicaid is a health insurance program where the state and federal government participates in the funding and administration of the health insurance. This health insurance program is primarily designed for the low income individuals, families, and the disabled. The fact that medical assistance is now getting more and more expensive, low income families with dependent children are left out of getting the best health care programs to treat various illnesses. However, with Medi-Cal, you will see that even low income families and individuals will now be able to access high quality medical care at a fraction of the cost. Medi-Cal for the disabled and for the aged may include coverage for hospital fees, professional fees, medical supplies, prescription drugs, adult day care, long term nursing care in the beneficiary’s home, home health assistance, transportation that is medically related and many other services related to the physical and mental well-being of the patient. Usually, Medi-Cal can cover 100 percent of the total amount of medical expenses incurred by the patient. However, there are some cases where Medi-Cal may require co-payment. One co-payment program is when the elderly or the disabled enters nursing home for the purpose of health care. Here, there are cases where you may be required to cover some of the costs that you will accumulate in nursing homes. This is called share of cost. This program is a part expenditures that you need to pay for your long-term care. However, Medi-Cal will usually pay off most of the expenses that you will incur. The great thing about this is that the needy individual will be able to deduct the total amount of medical expenses and will only pay a part of the medical expenses that is also considered to be affordable. Another great thing about it is that the share of cost that you will be required to pay will vary depending on your income every month. If you have a particularly low income level, then Medi-Cal will pay more of the long term health care services that you get. You have to remember that Medicare and Medi-Cal are different health care programs. Unlike Medi-Cal or Medicaid, Medicare is mostly funded by the federal government and it is included in the benefits that you will get on your social security. Medicare also requires monthly payments for the deductibles, premiums and it also provides you with coinsurance as part of the benefit. However, Medi-Cal or Medicaid is funded by both the state and federal government. It is not tied to your social security benefits and it will never require you to pay monthly premiums. Medi-Cal can cover up to 100 percent of coverage on medical expenses. Adding to that, hospitals or medical professionals who accept Medi-Cal for payment will never be able to charge you with additional fees as it can on people with Medicare. The great thing about Medicaid in California or Medi-Cal is that they allow you to have Medicare as your health insurance and still be qualified for Medi-Cal. 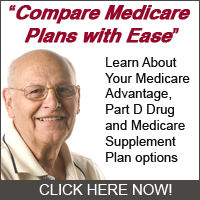 However, you will never generally need any Medicare supplemental or a health insurance provided by a private company once you qualify for Medi-Cal. This is because Medi-Cal can cover 100 percent of all the cost you incur when you get hospitalized or you need medical attention. These are the benefits that you can get with Medi-Cal. As you can see, Medi-Cal can definitely help you with all your medical needs. With it, you will never be burdened with the high medical cost that is continuing to rise every day.